Guessss whaaaatttt! I received an award!!!! 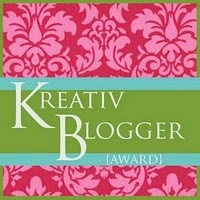 Miss Dre over at So She Writes by Miss Dre has given me the Kreativ Blogger Award and I am so excited about it! Thank you so much. Please check out her blog, she’s got a lot of interesting things to read about from fashion, hair, nails, self-improvement and much more! Thanks again darling! 3.) What pisses you off? Purposeful Ignorance & people who dont use blinkers to get over while driving. LOL! 4.) When you’re upset you…? Go Shopping (Retail Therapy) or create and trade art cards check out my art card gallery here. 9.) Everyday Attitude? Lately I have been trying to work on finding a positive in any negative situation so my approach to each day would be to make a good day no matter what. 1.) I love to cook but hate washing dishes so I don’t cook as much as I could and should be. 2.) I long to work in the medical field some day as a Nurse Practitioner or Physician Assistant…. 3.) I love learning new things. If I could’ve been a “professional” college student, I would have. 5.) I wish I could dance like the people on “So You Think You Can Dance”…. Please check out the fabulous blogs!!! Thanks again Miss Dre for passing the award on to me!! Next Post My First Blogger Meet-Up! Congratulations on the award! I am the same, I don't like to wash dishes either…but I don't like to cook at all! lol! Congrats on the award and thanks for giving the award to me! I will try to work on this this weekend! Great seeing you last night!! Ha! Hilarious because I was awarded this from another blogger and actually mentioned you in my response! Thanks for the award, I appreciate it!!! And #1 – that's me ALLLLLLL DAY! Hey Ms. Trice…I found you finally! I am so happy to have met you last night, it was such a fun evening and I am looking forward to many more. 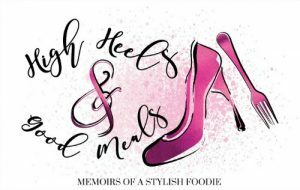 As for this blog….love it, you are fabulous, so the award is well deserved! Thanks for paying it forward to me, I appreciate it and you. Congrats on the award. I, too, wish I can dance like those folks on SYTYCD. I truly believe that I was a dancer in my past life or something. Hmm, maybe I should've used that as one of my random facts. LOL @ #7 RANDOM!!!! 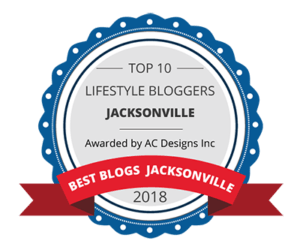 ~Congrats on the BLOG AWARD! Thank you so much for giving me this award. I am truly blessed!